The endocrine system is complex but vital in maintaining homeostasis of multiple organ systems via hormones. These hormones are released from cells that circulate and affect distant organs. 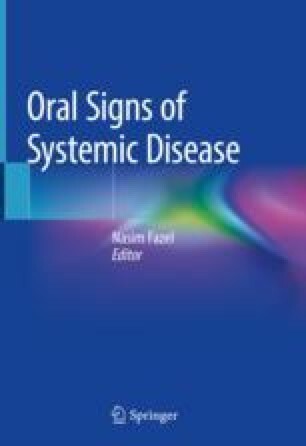 Endocrine dysfunction involving alteration in hormone levels has significant disease manifestations that may involve single or multiple systems and can affect the orofacial region. Therefore, patients with endocrine disorders may have an array of different symptoms and clinical manifestations. Various endocrine and metabolic disorders may manifest orally as soft tissue or hard tissue changes or both.